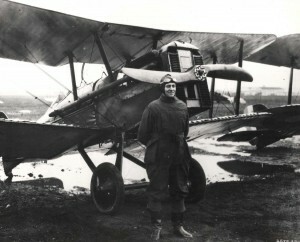 Highlights include Bud Mars first flight in Hawaii, Tom Gunn, Curtiss seaplanes, Army Hangers at Ford Island. 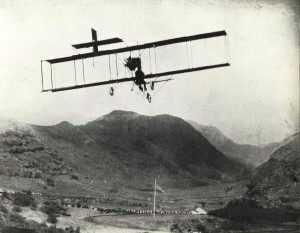 Hawaii residents were thrilled to watch the development of aviation in the 1920s. The islands became the focus of trans-Pacific exploration with the flights of Navy Commander John Rodgers in 1925; Army Lieutenants Lester Maitland and Albert F. Hegenberger and civilians Ernest Smith and Emory Bronte in 1927; and the Dole Derby in 1927. Believing that Hawaii's economy would benefit from air travel, the Territory dedicated its first airport, John Rodgers Field, in Honolulu on March 21, 1927. Airfields continued to be developed throughout Hawaii in the 1930s, some by the military including Hickam Field and some by the Hawaii Aeronautics Commission. Sir Charles Kingsford Smith made the world's first west-east trans-Pacific flight arriving in Honolulu on October 29, 1934. 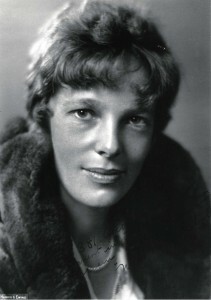 Famed aviatrix Amelia Earhart made an historic solo flight from Honolulu to San Francisco on January 11, 1935. Perhaps the biggest event in the '30s was the start of scheduled passenger service in Clipper planes between the Mainland and Honolulu and the Orient by Pan American World Airways on April 20, 1935. The Japanese bombing of Honolulu on December 7, 1941 changed aviation in Hawaii forever. 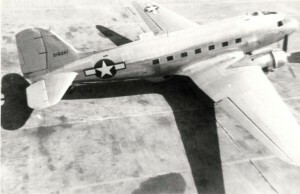 All airports were turned over to the military during the war and the military in turn improved airfields and airports to support the war effort. After the war, many airports were turned over to the Territory of Hawaii to operate. Commercial interisland and trans-Pacific travel grew, and pilot training schools sprang up. John Rodgers Field became Honolulu Airport after the war, and later Honolulu International Airport. During the 1950s, commercial aviation grew in Hawaii, as it did around the world. The Korean airlift continued to account for increased air carrier operations. 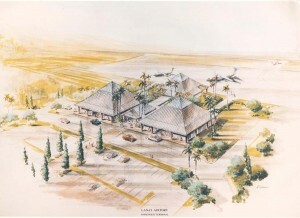 Architects continued to work on the design for a new jet-age Terminal for HNL on the North Ramp. 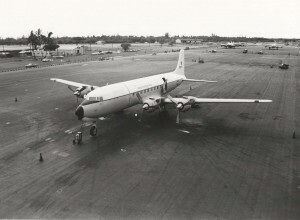 On December 13, 1955 HNL became the first civilian airport in tlhe national to get a preview of commercial jet aircraft operation when the British DeHavilland Comet III jetliner arrived on a goodwill flight around the world. Congress voted to make Hawaii the 50th State and Hawaii was admitted to the Union on August 17, 1959. 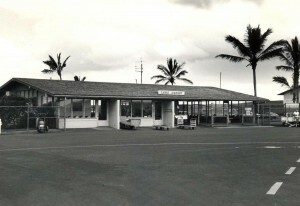 In the 1960s construction of a new Overseas Terminal and an Interisland Terminal on the North Ramp at Honolulu International Airport was underway as tourism was growing in the new 50th State. Increased travel to the Neighbor Island airports had the state scrambling to keep pace. The Hawaii Department of Transportation operated airports on the islands of Oahu, Maui, Kauai, Hawaii, Molokai and Lanai. Honolulu International Airport is the largest of the state airports and is located on Oahu. 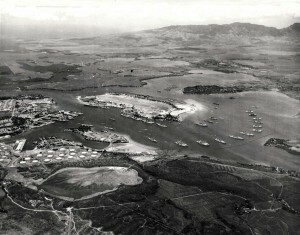 In addition, the military operated airports on Oahu and Kauai military bases. The State of Hawaii through its Department of Transportation Airports Division operated major airports throughout the state. 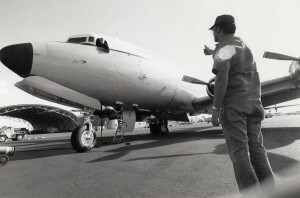 The Hawaii Department of Transportation operated 13 commercial and general aviation airports on the six major islands.